Famed composer Richard Rodgers produced a series of musical revivals for Lincoln Center from 1964-1969 at New York’s City Center. 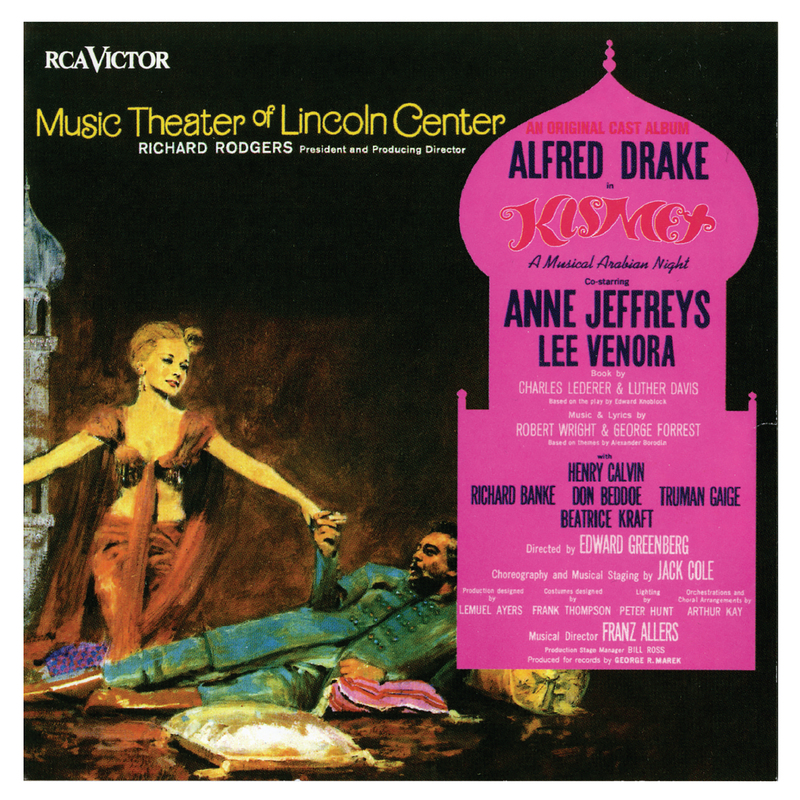 Kismet opened for a limited summer run in June 1965 starring Alfred Drake, recreating his Tony-winning role as the Hajj, as well as Henry Calvin from the original Broadway production. “Bored,” a song written by Robert Wright and George Forrest for the 1955 movie version, was added to the score of the Tony-winning Best Musical for this production which also starred Anne Jeffreys, Lee Venora, Richard Banke, Rudy Vejar, Albert Toigo, and Anita Alpert.